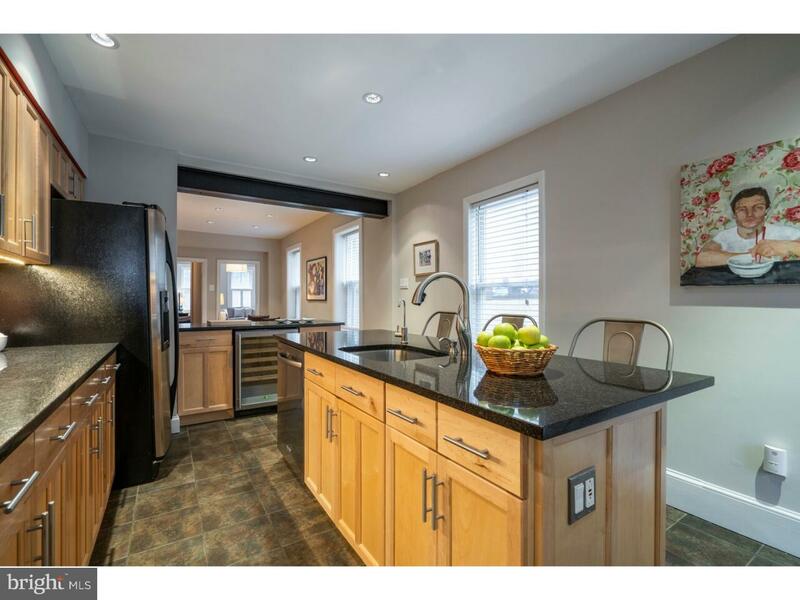 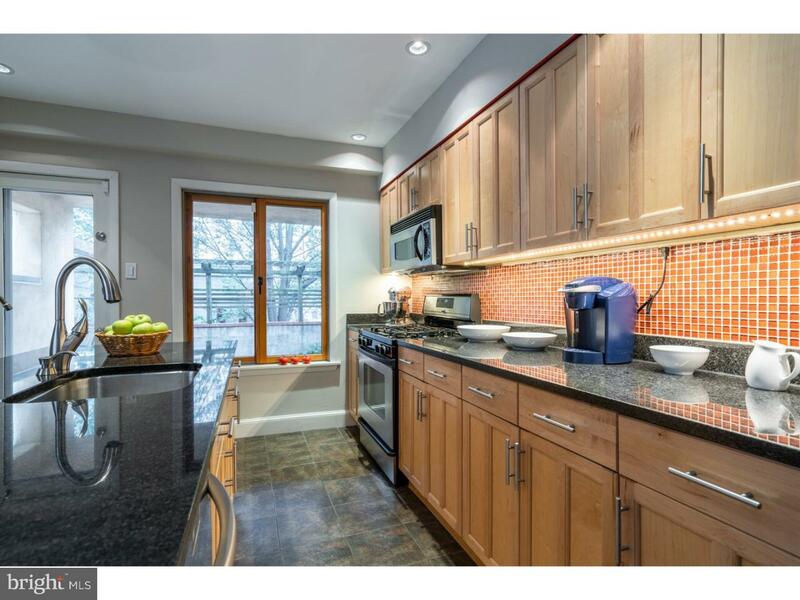 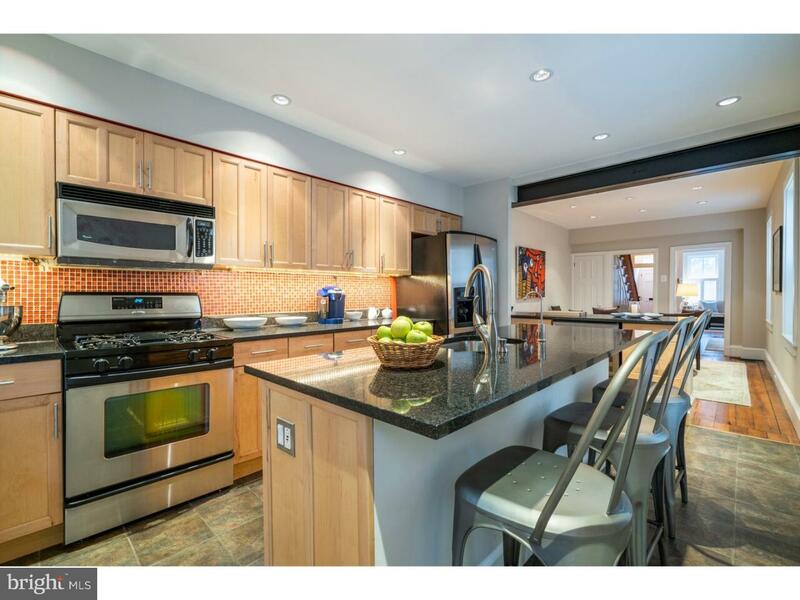 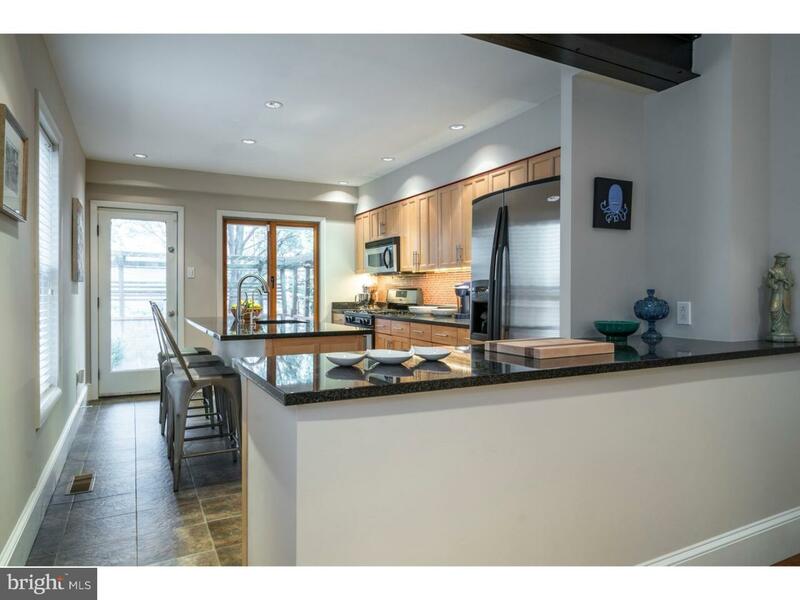 Exceptionally appealing 4 bedroom, 2 bath Townhouse on a most desirable Spring Garden block. 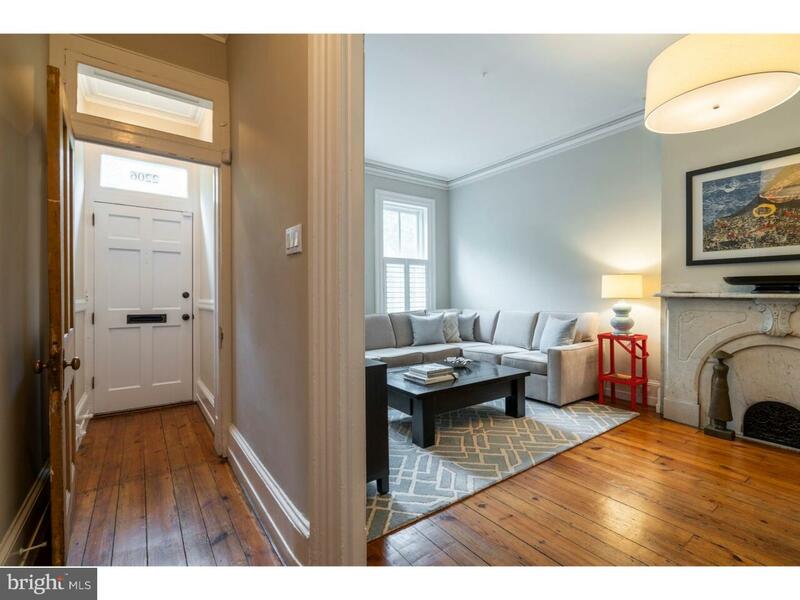 Inviting first floor living space with decidedly open feel highlighted by high ceilings with original plaster moldings, recessed lighting. 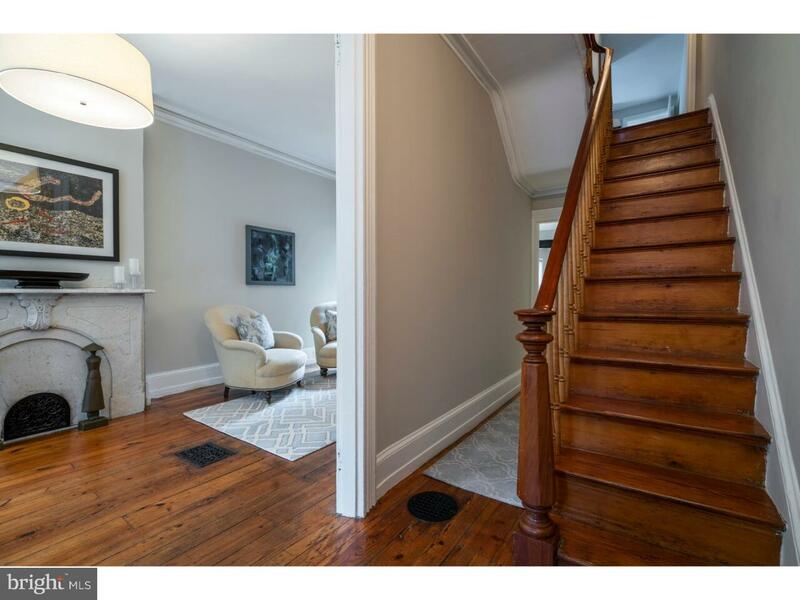 Entry vestibule to hall with original wood stair to 3rd floor. 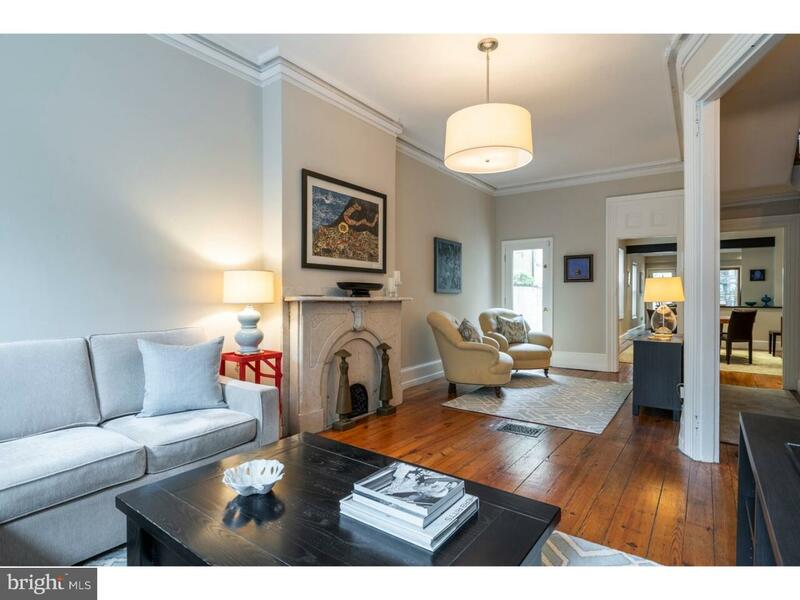 Large living room with original marble mantle and front window lower panel millwork Gracious dining room with 2 side windows and coat closet. 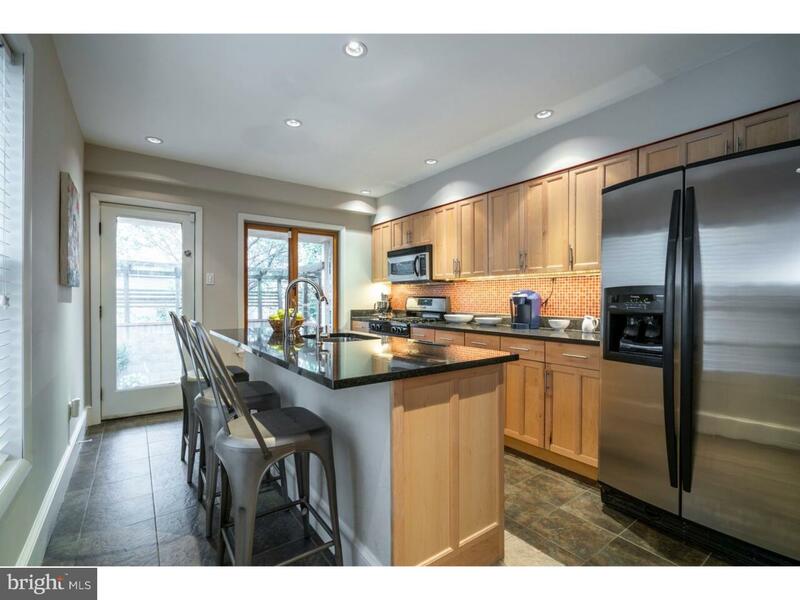 Handsome oak/granite/stainless center island eat-in kitchen with wine fridge, open to dining room. 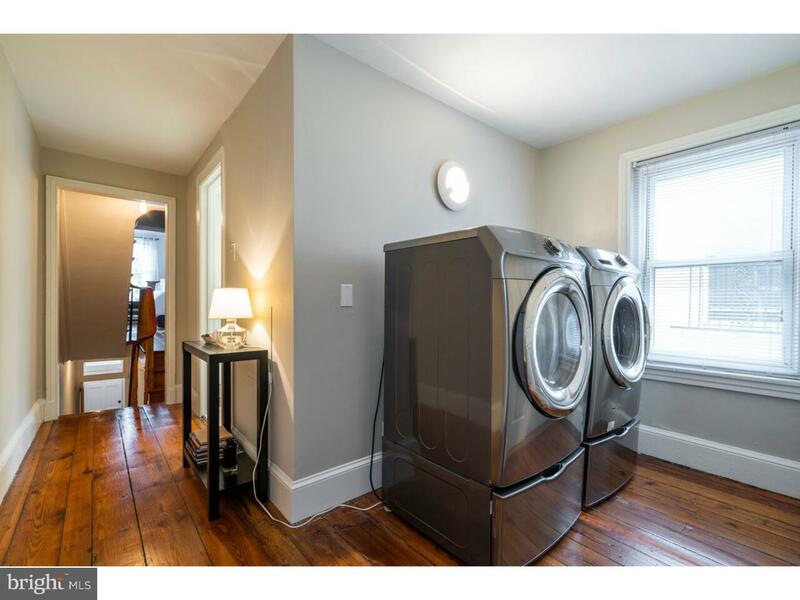 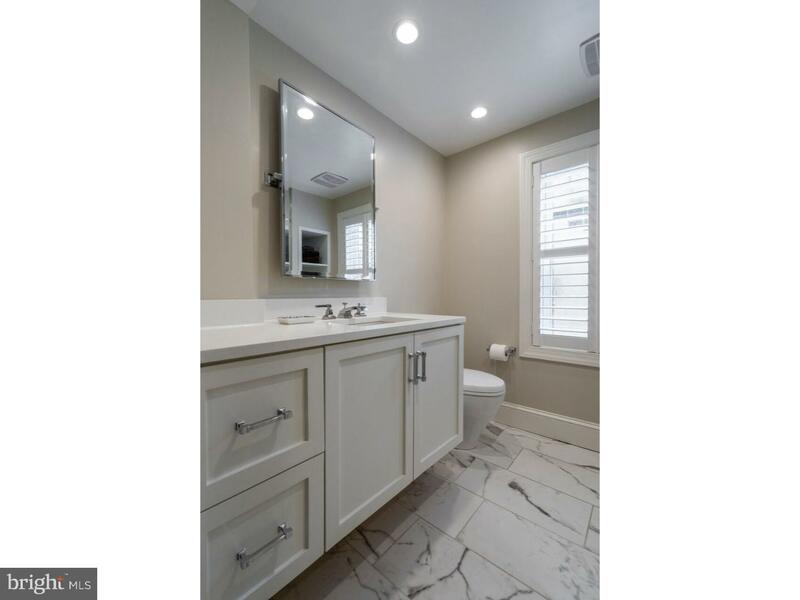 The second floor has a large front bedroom (was 2 bedrooms) with sitting area and large closet; custom 2017 hall bath with shower over tub and beautiful tile; great full size laundry area with large closet; lovely rear bedroom with glass doors to open porch. 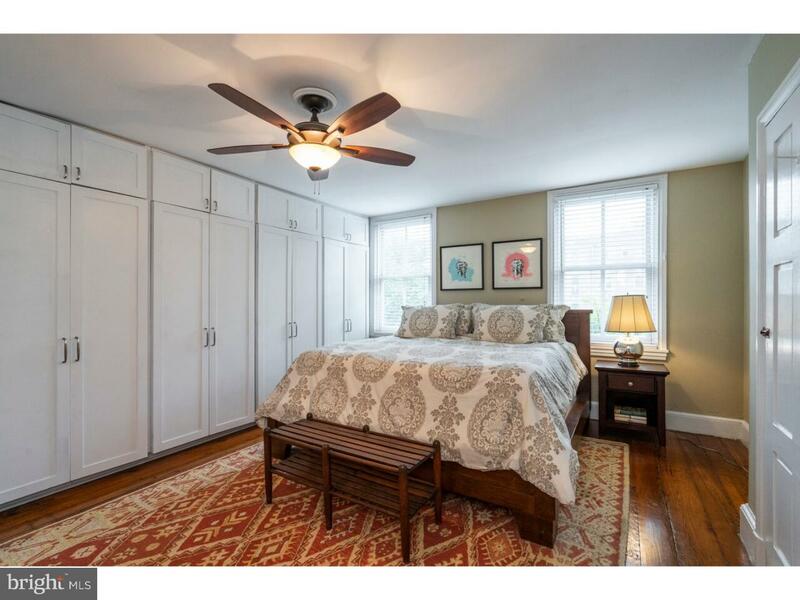 Third floor front master bedroom with wall of closets; big master bath with wide vanity sink, stall shower, wainscoting; hall with cool light well skylight; alluring rear bedroom with studio feel now used as home office. 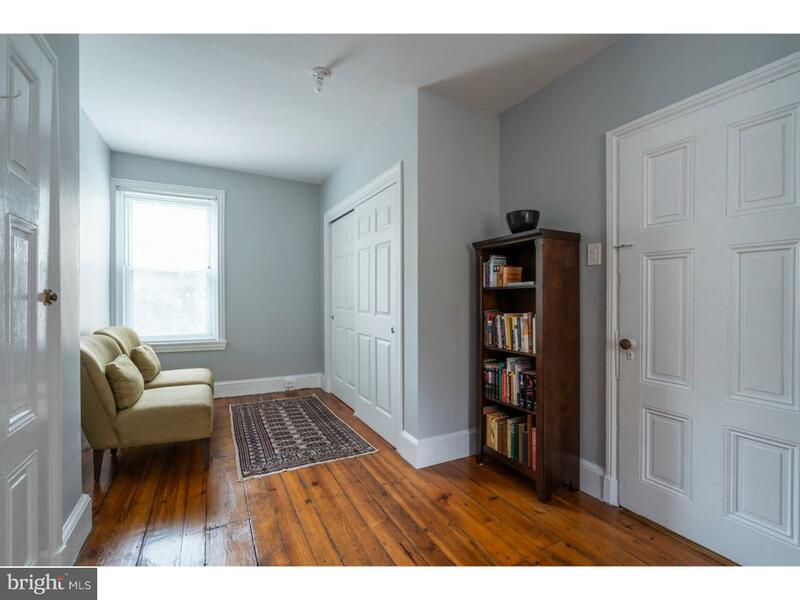 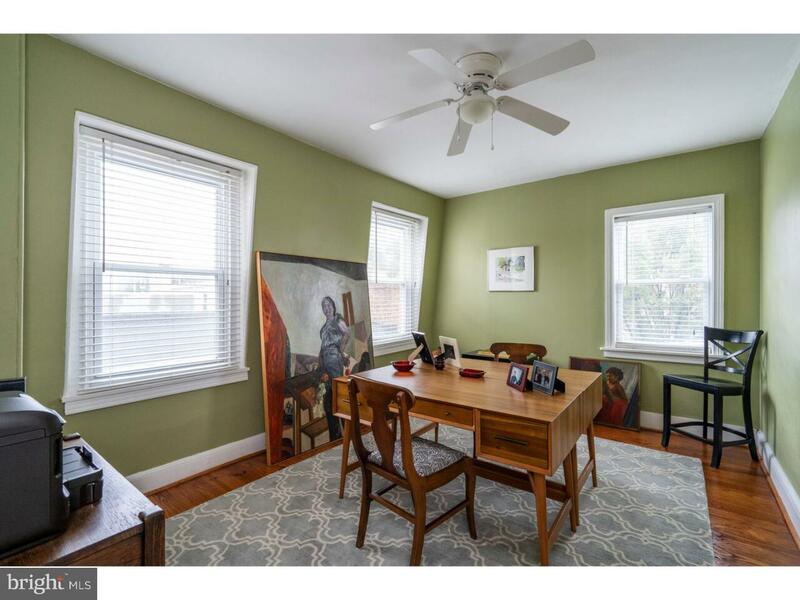 2 zone C/A, many windows, original random width pine floors. 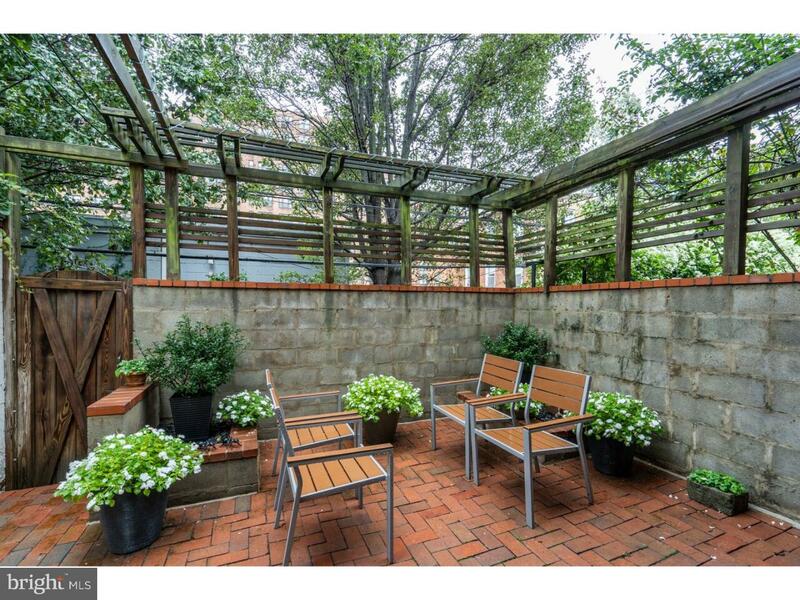 Walled brick patio steps from kitchen perfect for grilling and entertaining. 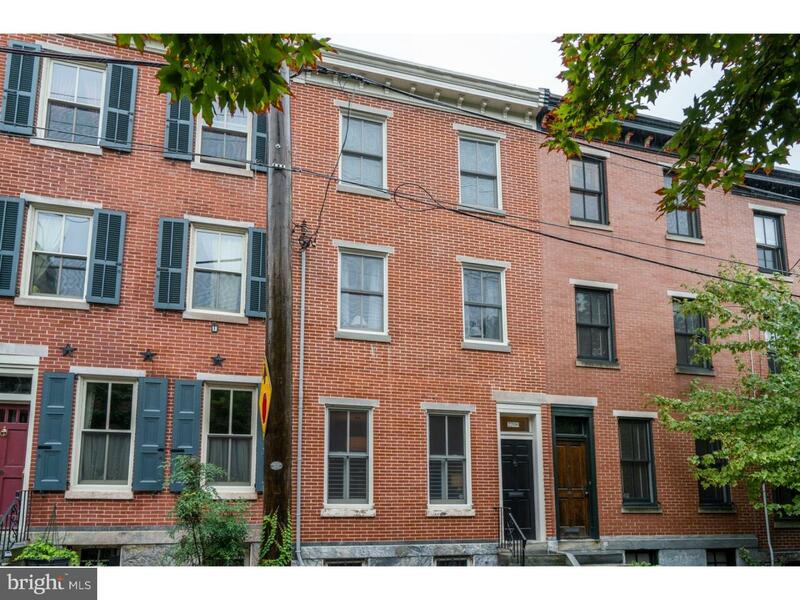 2015 restored brick facade and new 2018 side mansard/rear roofs done to Philadelphia Historic Commission guidelines. 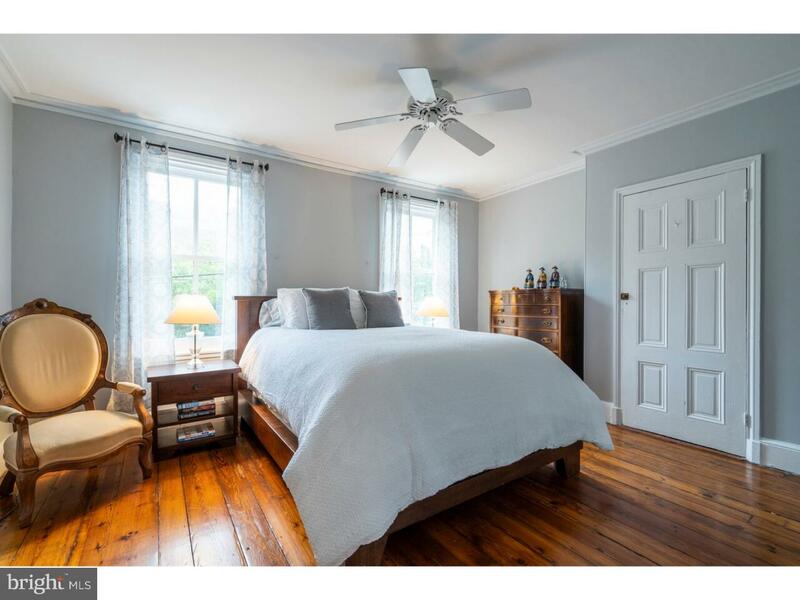 New top roof to be installed May 2019. 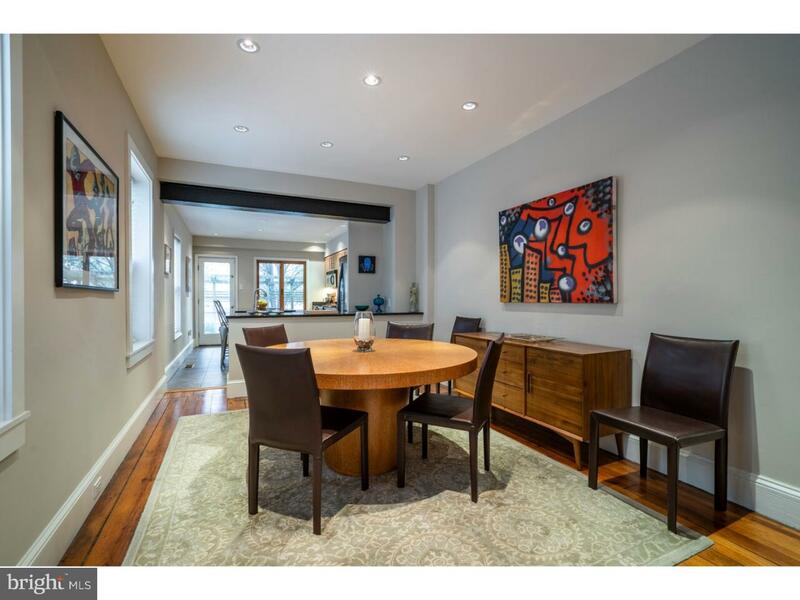 This property is close to the vibrancy of the museum district and great shopping and restaurants. 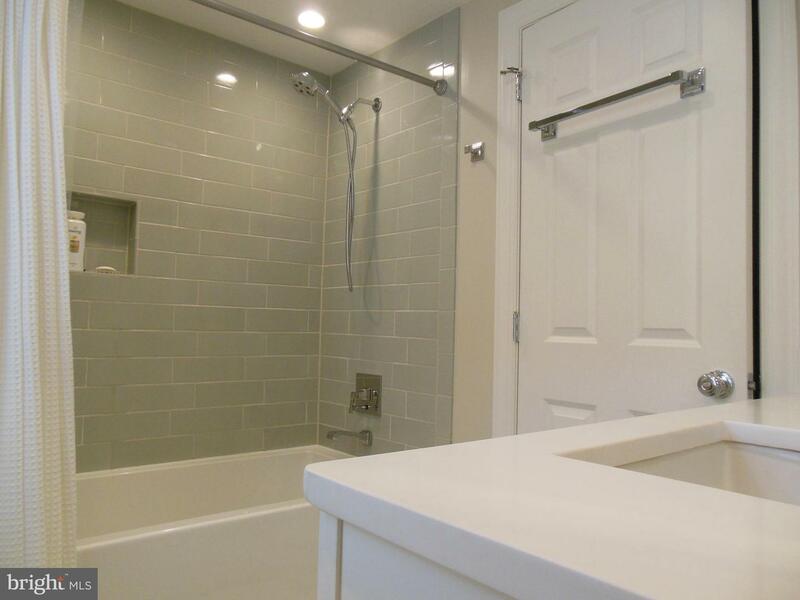 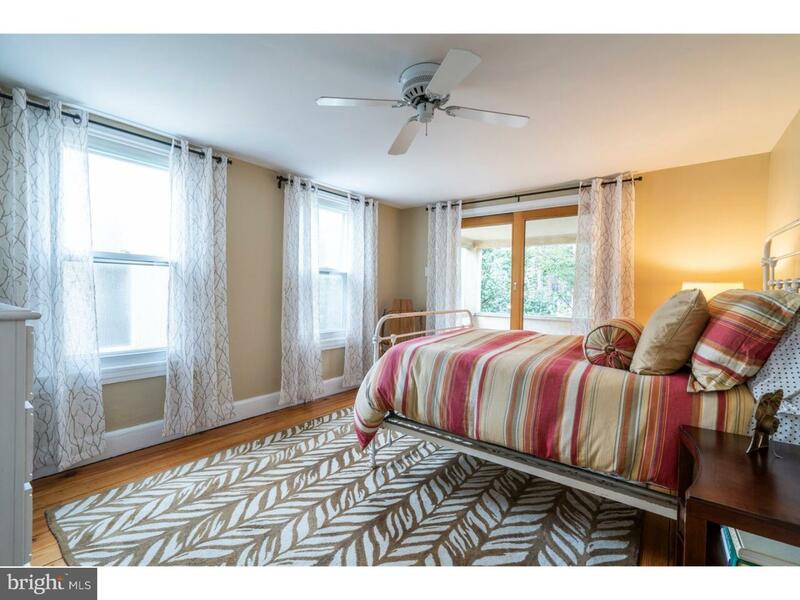 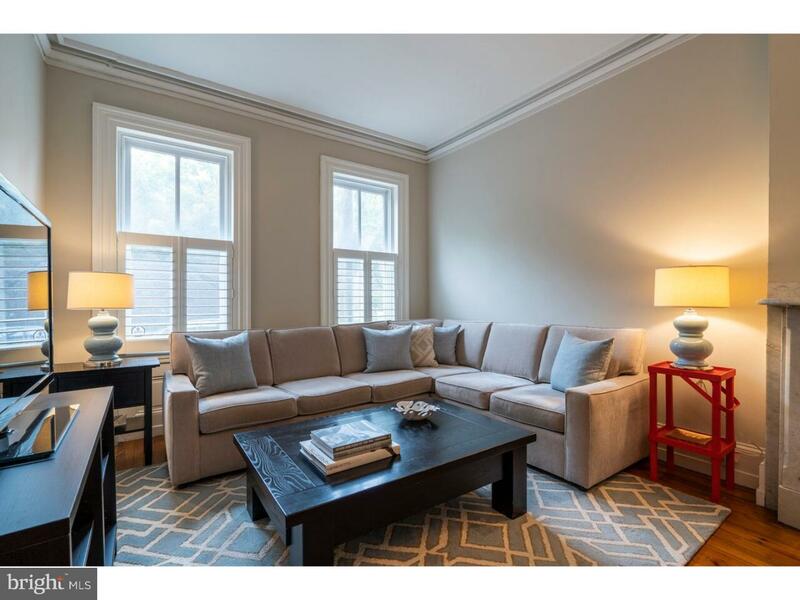 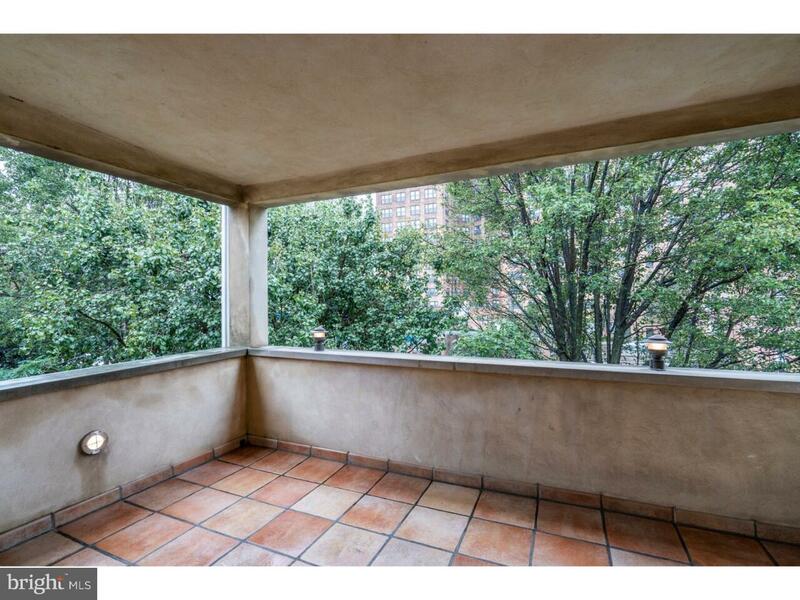 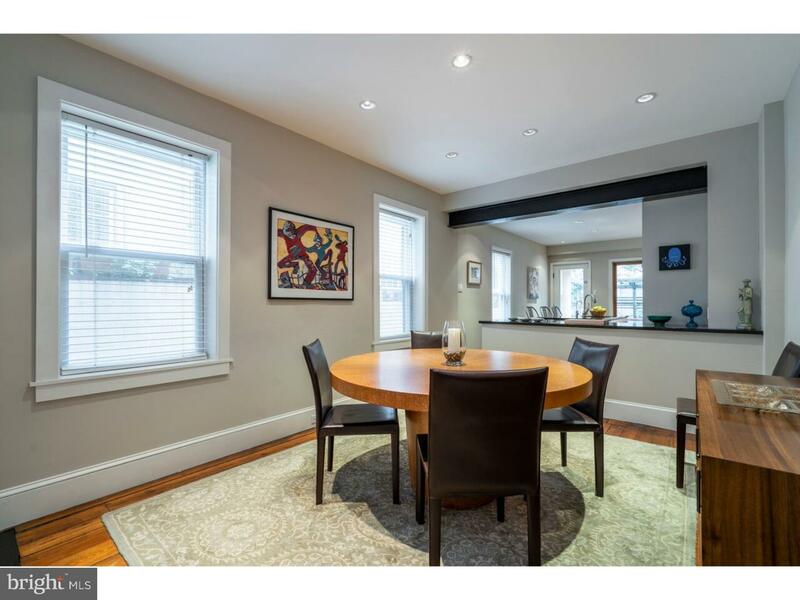 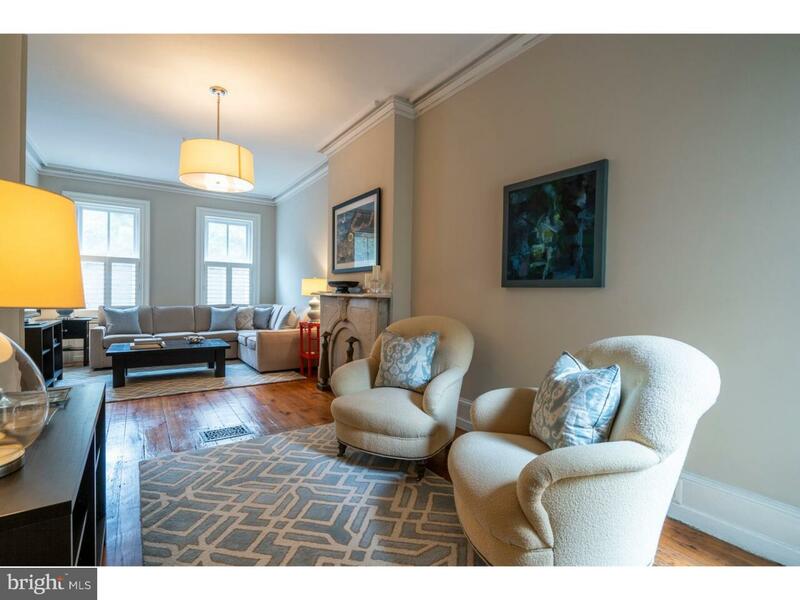 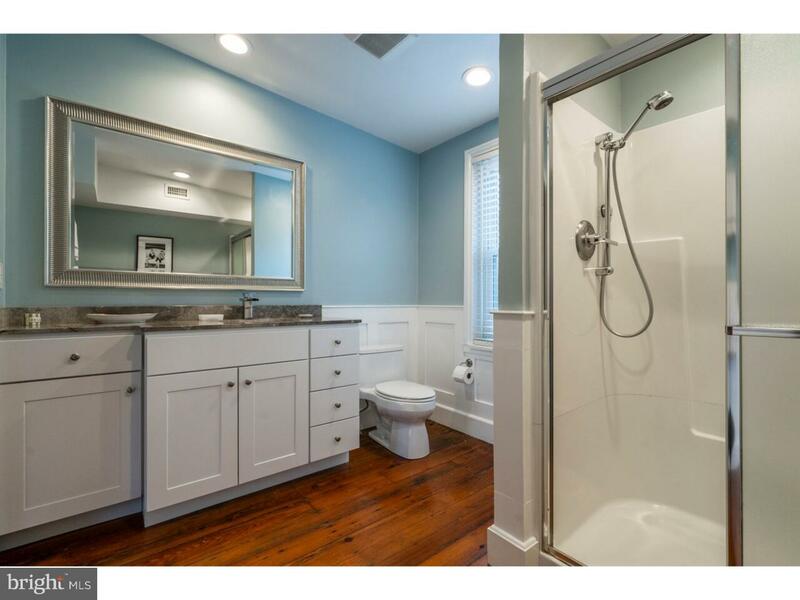 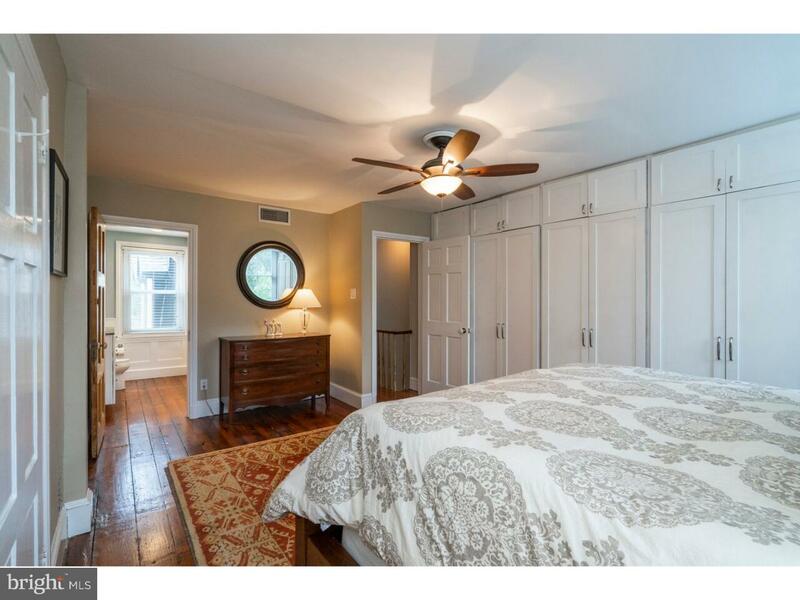 Minutes to center city or the green of Kelly Drive/Fairmount Park and major roads.